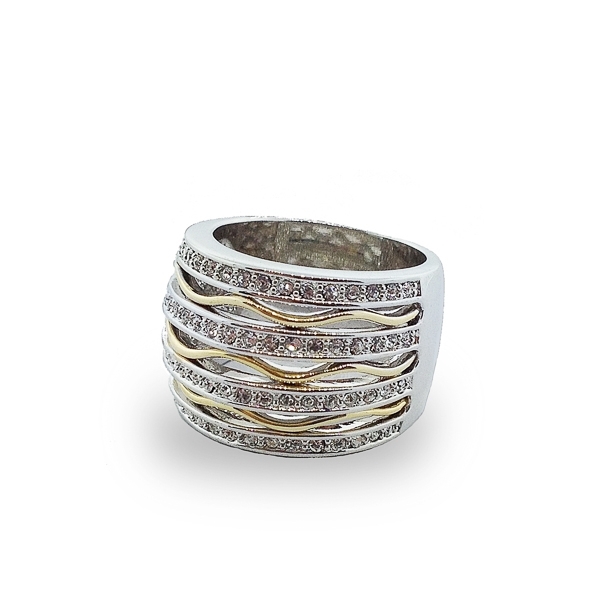 Description: This rhodium and 14k gold plated high polish cocktail ring features four rows of crystals with waves between each row. Italian inspired design radiates elegance and doesn't fail to catch the eyes. Material and Measurements: Rhodium Plated and 14K Gold Plated Base Metal, Crystals - Band Width 5/8"